Gilding metal, the standard generic design features for this series of a garter and royal motto ‘Honi Soit Qui Mal Y Pense ‘, surrounded by a laurel wreath with a Victorian crown above. In the centre the letters ASC. To the reverse two brass wire loops east-west. 96.6mm tall, 88mm wide. 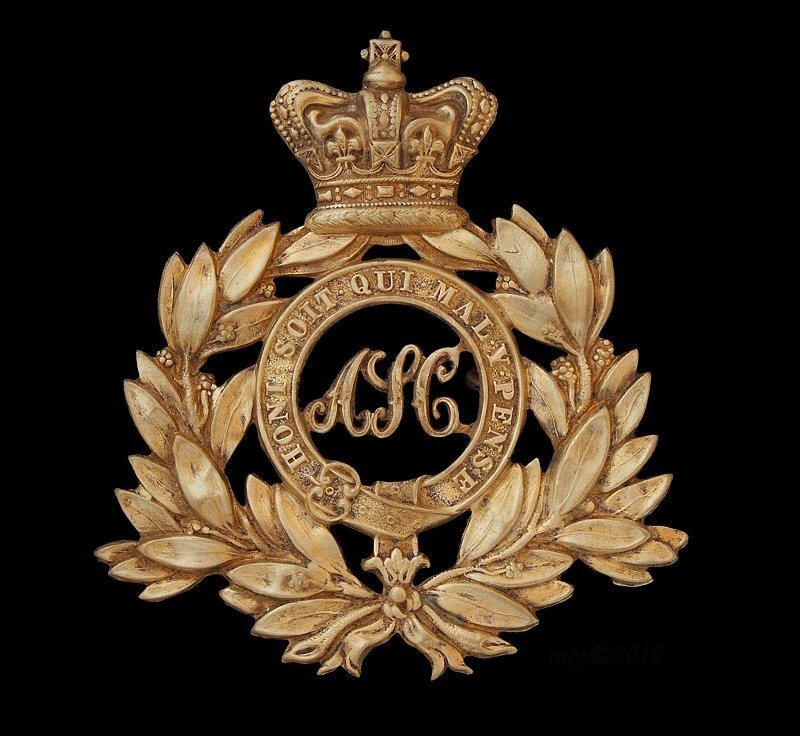 This is the first Army Service Corps hat badge.